With just three days to go until the start of Leg 10 of the Volvo Ocean Race 2017-18 on Sunday, a 1,300-nautical mile sprint from Cardiff to Gothenburg, Charles Caudrelier skipper of Dongfeng Race Team says winning one of the final two legs is the top priority. The Chinese-flagged team is top of the leaderboard with a one-point advantage over MAPFRE and a three-point margin over Team Brunel. However it also has an extra point in the bag that will be awarded at the finish of the race in The Hague for the fastest elapsed time around the planet. After the long ocean legs, this relatively short trip to Sweden around the top of the British Isles – with a course that leaves Ireland to starboard but goes south of the Shetland Islands - is going to be a tricky test when the crew will be short of sleep and required to work hard on regular changes of sail and trim. “This leg and the final one from Gothenburg to The Hague will be much more focused on speed and tactics, so we all have to change the way we sail,” Caudrelier added. For the race to Gothenburg which starts from Cardiff at 16.00 local time on Sunday, Dongfeng makes three crew changes. After missing the last two legs due to a back injury, the Chinese sailor Xue Liu – aka Black – is back in place of Chen Jinhao (Horace) who is starting his training in the Figaro class. “Black is now back at 100% and ready to bring his A-game to Leg 10,” said the Dongfeng Race Team Human Performance Manager, Neil Maclean-Martin who has been through an intensive rehabilitation programme with the Chinese sailor in Chamonix. In addition to Black, Dongfeng Race Team also welcomes back Swiss sailor Justine Mettraux to the race crew in place of Marie Riou who is rested for this leg. Mettraux, a veteran of the last Volvo Ocean Race aboard Team SCA and a skilled Figaro and Class 40 skipper, previously sailed with the team on Leg 4 from Melbourne to Hong Kong. Also returning to race duties is Fabien Delahaye, the team’s Head of Performance, in place of Stu Bannatyne. Alongside co-skipper Aymeric Chappellier, Delahaye recently finished in third place in the Normandy Channel Race in Class 40s and is looking forward to getting back on board Dongfeng. “I think the team has the same spirit as at the beginning of the race. Leg after leg we have worked at trying to understand the boat more and more and work out how to sail it faster – so it’s good for me to join the crew on board again and hopefully to sail fast on this tricky leg,” said Delahaye. “On every leg of this race we are usually the leaders at some point and we just need to focus on making sure we are the leaders at the end of the legs from here on in. This is the most important time to win one,” he added. Dongfeng Race Team is not only focused on trying to win the Volvo Ocean Race. It is also committed to helping to grow the sport of sailing in China and Caudrelier is determined to reward Dongfeng Motor Corporation and the team’s many fans in China for their support during this race and the last campaign in 2014-15. 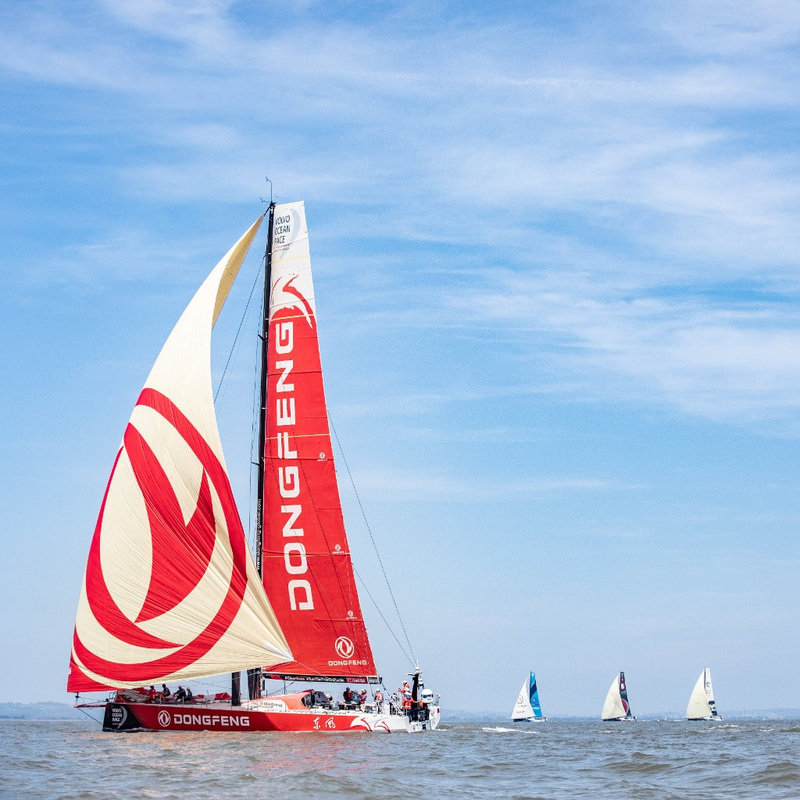 Ahead of Sunday’s re-start, Dongfeng Race Team will be in action in the Sky Ocean Rescue In-Port Race off Cardiff tomorrow(Fri) which starts at 14.00hrs local time. This is the ninth of 11 In-Port Races in this Volvo Ocean Race, with Dongfeng second in the ranking, eight points behind MAPFRE and six points ahead of third-placed Team Brunel.